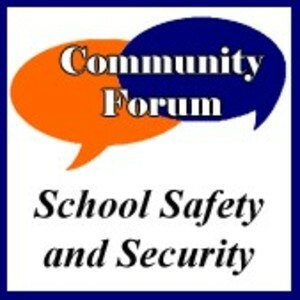 CCSD School Safety & Security Survey and Community Forum The Chappaqua Central School District is facing critical decisions regarding security upgrades at all six schools, with the most significant work needing to be done at Greeley. The Board of Education is considering holding a Capital Project Security Bond referendum for CCSD residents to address the entryways at all six school buildings. A survey for Chappaqua Central School District residents only has been created to assist the Board in determining the level of interest, if any, the CCSD community has for pursuing this kind of project. Please click HERE to begin. You may have received this survey notification from a different source so please submit only one response by Friday, April 20, 2018. After taking into account any and all community feedback, the Board of Education will determine what course of action, if any, the District will take moving forward. In addition, the District is hosting a School Safety & Security Community Forum on Wednesday, April 18th at 10am and again at 7pm in the auditorium at Horace Greeley High School (70 Roaring Brook Road). At both forums, District administrators and a representative from KG&D Architects will be on hand to present proposed projects, and to receive feedback and answer any questions from the community.